Recently, I was talking with a young woman – we’ll call her Katie – who was having a really hard time seeing the value of managing her diabetes. She saw it as too much work and the tradeoffs were just not worth the benefit. It’s no surprise that her blood sugars were constantly out of range. Katie was in a rut with her diabetes, and I was struggling to help her find a reason to care. What really struck me about Katie was that she didn’t really even notice her symptoms of high blood sugar – they had simply become her normal. She wasn’t aware how poorly she was feeling. Body awareness is helpful for anyone, and it’s especially valuable for people with diabetes. Sometimes you know exactly how you are feeling, while other times you might not be as aware. If you don’t notice that you’re not feeling great when your blood sugar is high, it can be easy to let your diabetes management slip. Paying attention to how you feel, in an intentional way, can open your eyes and make the benefits of good diabetes management much more real. A body scan is a great way to observe how you are feeling in an intentional way. It trains your mind to pay attention to specific areas of your body, as well as your body as a whole, in order to increase your awareness of how you are feeling. The goal of this exercise is simply to observe. There is no ‘right’ or ‘wrong’ way to feel. Taking time out to be mindful can help you notice feelings and experiences in your body that you may brush over or ignore in your daily life. It’s best to do a body scan sitting down in a comfortable position when you have at least 10 minutes when you won’t be distracted. This video guides you through how you can perform a body scan. Just follow the spoken instructions. After I did a body scan exercise with Katie, she was visibly shaken. 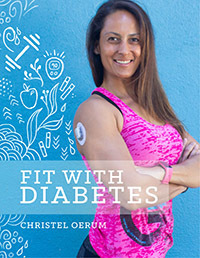 For the first time, she noticed how her high blood sugars were making her feel, and how big an impact this had on her life. She realized that she really didn’t feel well. She has no energy and she felt tired all the time. She had a dull stomach ache and her mouth was dry. She’s had these symptoms for a long time, but she has brushed them aside and they became so normal she stopped paying attention. Paying attention to how she was feeling was a wakeup call for her. She realized how her high blood sugars were affecting her mood, her friendships, and her work. Taking time to observe how you’re feeling physically can be helpful even if your diabetes is well managed. It can help you notice things like how certain foods make you feel, how you feel when your blood sugar is high or low, and how you feel after a great workout. 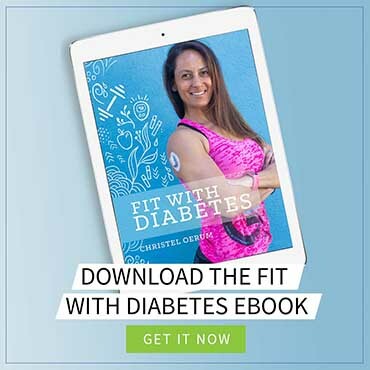 Awareness of how diabetes affects you in the moment – physically and emotionally – is a key to making changes for the better. A body scan is a simple tool to help you gain this awareness. Give it a try and see what you learn about yourself! Dr. Mark Heyman is a diabetes psychologist and a Certified Diabetes Educator. He is Vice President of Clinical Operations and Innovation at One Drop. He is also the Founder and Director of the Center for Diabetes and Mental Health (CDMH). 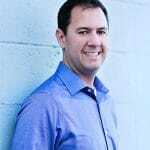 He is passionate about providing diabetes education and evidence-based mental health treatment to people with diabetes.Mark received his PhD in Clinical Psychology from The George Washington University and completed his psychology internship at the UCSD School of Medicine. He holds an appointment as an Assistant Clinical Professor in the Department of Psychiatry at UCSD. He has been living with type 1 diabetes since 1999. Great read, great topic. Thank you so much. I will try to incorporate this into my daily life. I had a problem keeping the video going, but I think it’s on my end. Was watching on my phone. Will try to do it with my computer tomorrow. This was good timing for me. Very needful.